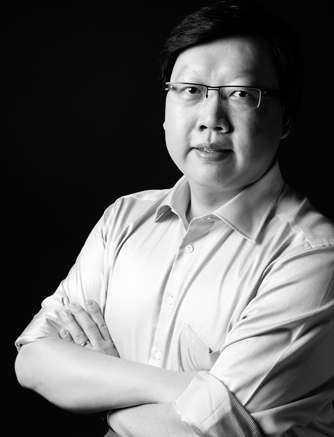 Matt Choi is the founder and chief strategist of Certus Trading, an educational company dedicated to helping traders and investors achieve sustainable profits in trading stocks, ETFs, currencies, options, commodities and financial futures. As a Chartered Market Technician (CMT), Matt has been trading for almost two decades and has a unique perspective on trading the market. Having used his own money for trading and his own devices for trading strategies, Certus Trading’s Matt Choi learned much of what he knows through the school of hard knocks. He achieved some success during the dot com boom, but after that, he realized he needed a new strategy. To his good fortune, he met the late George Fontanills, who became his mentor in trading. George helped Matt identify his strengths as a trader and gave him particular guidance on how to focus on a few specific markets to maximize his profits. Matt began realizing a steady and sustainable profit through his trading. But, while trading remained his passion, he also began to have a desire to pass on his knowledge to other traders and investors to help them avoid common pitfalls, while achieving similar success. Joining with Brian Tracy and a select group of international business experts, in 2014, Matt Choi co-authored, The Winning Way, a book that focuses on the importance of a trader’s psychological mindset. In the book, Matt explains how the right mindset is crucial to becoming a successful trader and proposes three psychological mindsets that traders must maintain to maximize their profits. With this book, Matt Choi and collaborating authors have donated their wisdom to help others become more successful. The proceeds of the book’s sales go to the non-profit Entrepreneurs International Foundation, a group dedicated to creating unique campaigns to raise money for charitable causes. Prior to leading Certus Trading, Matt Choi was a successful entrepreneur in the automotive industry, serving as Dealer Principal for Hyundai of Oakville from 2003 to 2009. Matt purchased and rebranded this floundering car dealership and successfully turned it into a multi-million dollar enterprise. By choosing a strong team with a diversified skill set to help him, Matt was able to resurrect the business and realize a profit after selling it. Matt first began to be interested in trading as a child when his grandfather, a successful investor in Hong Kong, began to tutor him in the strategies of investing. Together, they would visit the Hong Kong Stock Exchange and watch the bright green monitors display the quotes of the day. Those early days of learning the market would stay with him the rest of his life, feeding his desire to inspire others towards investment success. Matt Choi received his education at McMaster University, Ontario, obtaining his Masters of Business Administration (MBA) from the school. An avid soccer player in his youth, Matt still enjoys watching soccer on TV with his wife and son. Together, they enjoy traveling around the world, trying exotic foods and seeing new places. He also enjoys spending time at home in Toronto with his family and their Wheaten Terrier. © CERTUS TRADING INC. All rights reserved.